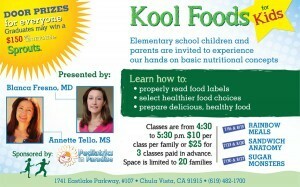 Kool Foods for kids! Check out our great event coming up! 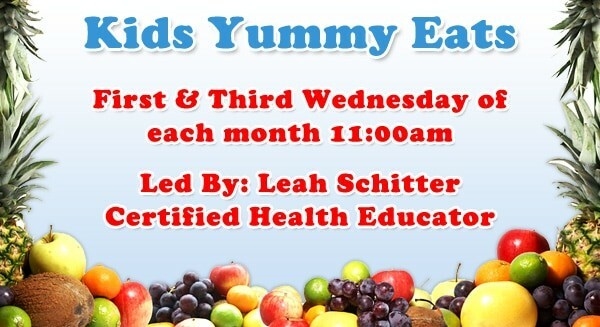 Elementary school children and parents are invited to experience our hands on basic nutritional concepts. 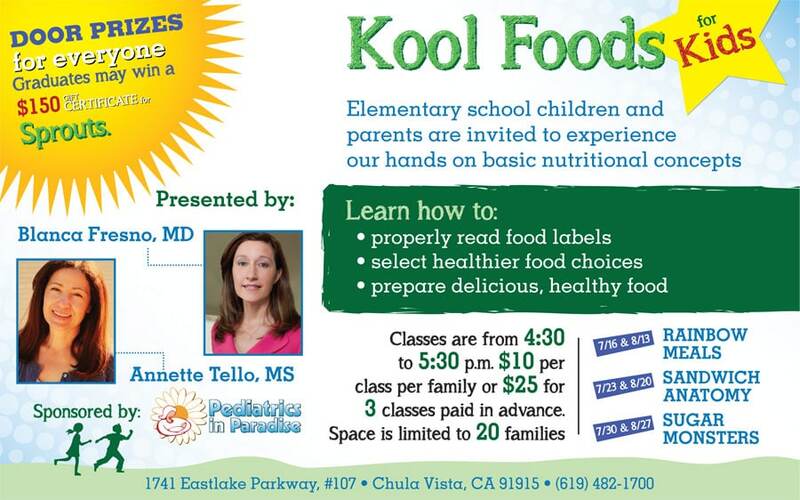 You will learn how to; properly read food labels, select healthier food choices and prepare delicious healthy food. Classes will be held from 4:30pm to 5:30pm and are only $10 per class per family. You can also sign up for all three and pay only $25 per family. Hurry up because space is limited to only 20 families. The classes will be presented by: Blanca Fresno, MD and Annette Tello, MS. For more information or to register call (619) 482-1700. 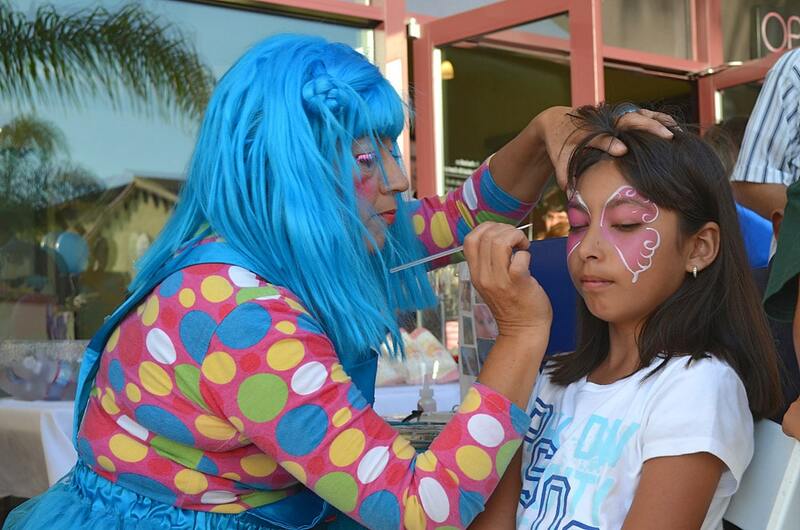 Photo gallery from our two year anniversary party in Otay Ranch. Thank you all for coming! next post: You’re invited to our two year anniversary celebration! Plenty of family fun for everyone.